Universal may have pushed back the next Fast and Furious film by a whole year, but things are moving along swiftly for another of the franchise's flicks. The studio has stamped the upcoming Fast and Furious spinoff with an official release date. The Hollywood Reporter announces that the movie, set to be a starring vehicle for Dwayne Johnson and Jason Statham, will ride into theaters on July 26, 2019. Universal Pictures chairman Donna Langley expressed enthusiasm about the news, telling the outlet, "Fast and Furious is one of Universal's most beloved properties, and we handle every decision we make surrounding this franchise with great care. The global brand of Fast and Furious is strong and full of iconic characters, and we look forward to continuing to build on the film that started it all, as well as expanding into different narratives beginning with our first spinoff." Longtime franchise scribe Chris Morgan, who has been on script duty since 2006's The Fast and the Furious: Tokyo Drift, is penning the spinoff. 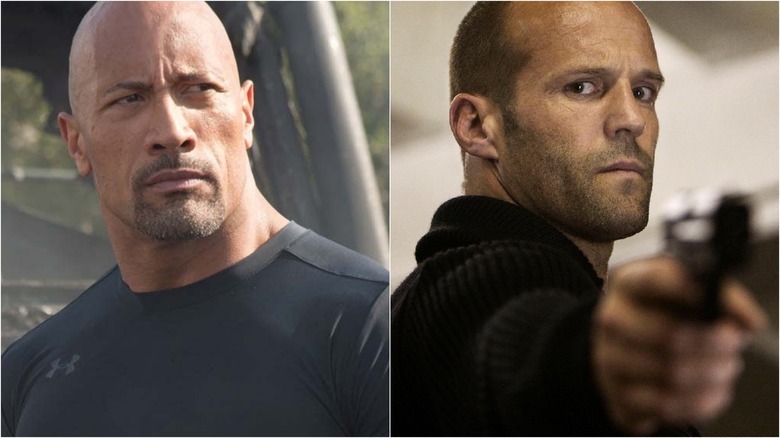 The story will focus on Johnson's character Luke Hobbs, a Diplomatic Security Service agent who flip-flopped between good guy and bad guy, and Statham's Deckard Shaw, the former British military officer turned assassin who was one of the series' villains before he was redeemed and ended up joining the motley crew of car enthusiasts. Johnson first popped up in 2011's Fast Five, subsequently starring in four of the series' eight total films thus far. Statham joined the franchise with a cameo appearance in Fast & Furious 6 and co-starred in the two most recent installments. It was only in the last movie, The Fate of the Furious, that Universal noticed the actors' on-screen chemistry and began to consider a spinoff starring the two. No deals have been made with the actors as of yet, but something tells us they won't turn down the opportunity. Elsewhere in the Fast and Furious franchise, Fast 9 was reportedly delayed to make room for potential director scheduling. Sources state that filmmaker Justin Lin (who directed 2009's Fast & Furious, 2011's Fast Five, and 2013's Fast & Furious 6) could return to the series. Sadly, one Fast and Furious actor isn't too happy about the upcoming spinoff, and even blames Johnson for the Fast 9 delay. A few weeks ago, Tyrese Gibson, who plays Roman Pearce, begged Johnson not to push back the movie with the planned Hobbs-Shaw spinoff. "If you move forward with that Hobbs movie, you will have purposely ignored the heart-to-heart moment we had in my sprinter," Gibson wrote to Johnson on social media. "I don't wanna hear from you until you remember what we talked about. I'm on your timeline 'cause you're not responding to my text messages. Fast family is just that: a family. We don't fly solo." Now that the film has actually been set until 2020, Gibson took to the public forums to pen a harsh message to Johnson. "Congratulations to The Rock and your brother-in-law a.k.a. 7 bucks producing partner [Hiram Garcia] for making the Fast and the Furious franchise about YOU. And like you, DJ, even if they call, I will not be deleting this post. [Goodnight], folks. See you in 2020 April. Fast family, right? Nah. It's about Team Dwayne. Three years. Will it be worth the wait? No Shaw, just Hobbs. Will this be another Baywatch? Guys, guys, just relax. I'm just a passionate film critic," Gibson wrote on Instagram. Hopefully the Fast family can mend its broken bits before the series' spinoff hits theaters in 2019.